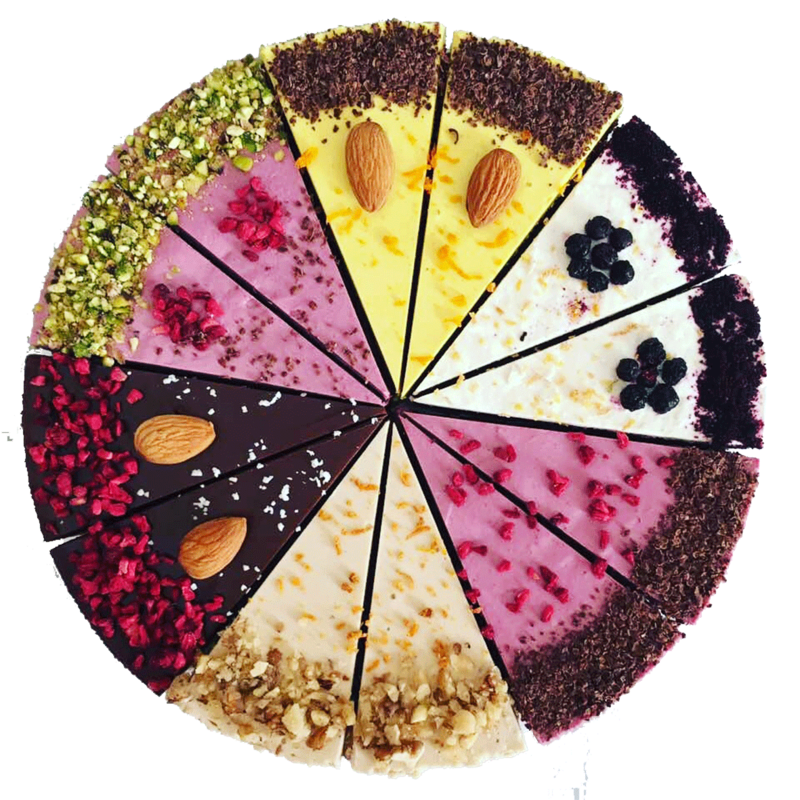 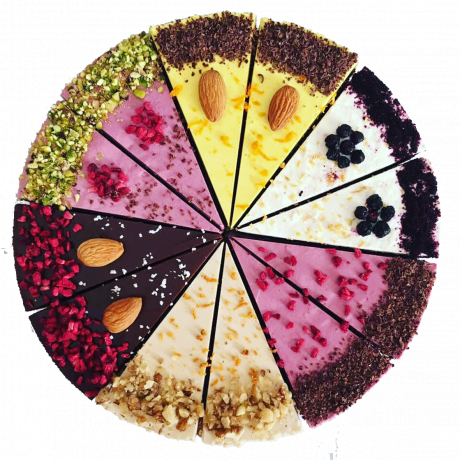 A beautiful raw cake made up of an assorted mix of delicious flavours. 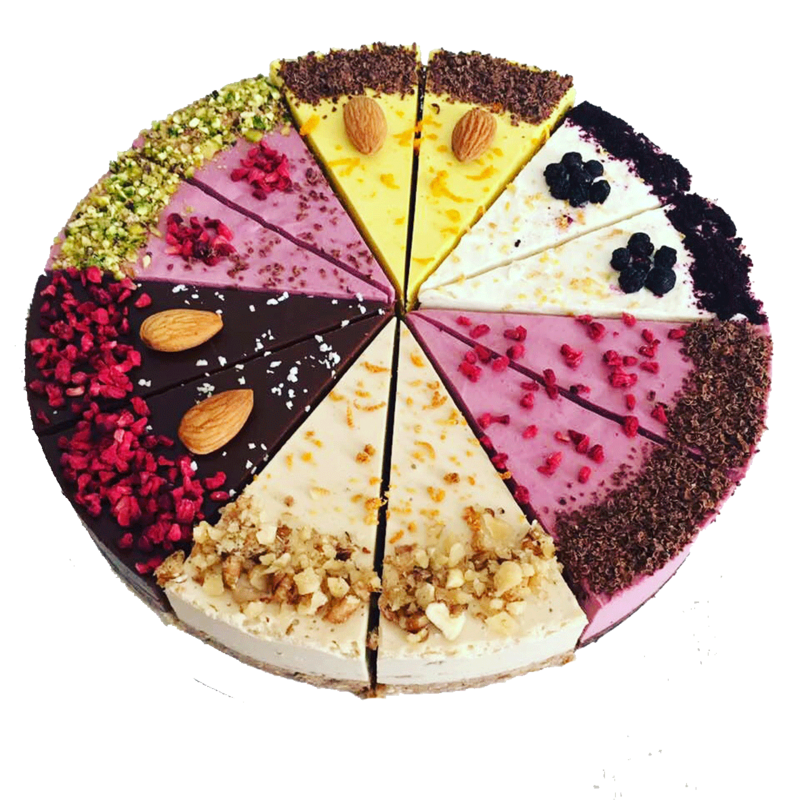 A great alternative if making choices is too hard, perfect for celebrations, meetings, friends or home snacking. 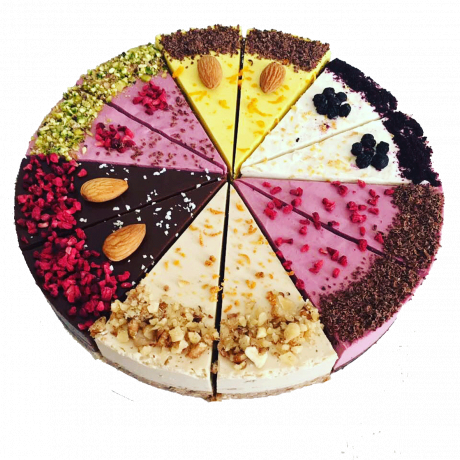 Contains 12 pieces of cake, in your choice of flavours.